The XYZ Affair was a diplomatic incident between French and United States diplomats that resulted in a limited, undeclared war known as the Quasi-War. U.S. and French negotiators restored peace with the Convention of 1800, also known as the Treaty of Mortefontaine. In the late 1700s, the final French Revolutionary government, the Directory, was experiencing problems financing its European wars. 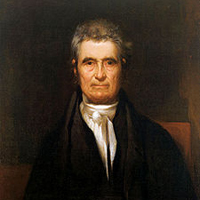 Many leaders were also angry that the United States had concluded the Jay Treaty with Great Britain in 1794. Consequently, in 1796 French leaders decided to issue an order allowing for the seizure of American merchant ships, carefully timed to catch as many as possible by surprise. President John Adams dispatched three U.S. envoys to restore harmony between the United States and France—Elbridge Gerry, Charles Cotesworth Pinckney, and John Marshall. These commissioners, like others of the Adams administration, viewed France as a center of decadence and intrigue and the rampant intrigue and factions of the Directory made it difficult for the Americans to accomplish their mission. Upon arriving in France, Gerry, Pinckney and Marshall found that they were unable to formally meet with the Foreign Minister, the Marquis de Talleyrand. The U.S. envoys were instead approached by several intermediaries, Nicholas Hubbard (later W,) Jean Hottinguer (X), Pierre Bellamy (Y), and Lucien Hauteval (Z.) Also involved with these negotiations was the playwright Pierre Beaumarchais, who had been involved in funneling French aid to the United States during the American Revolution. These French intermediaries stated that Talleyrand would be willing to meet with the Americans and come to an agreement if several conditions were to be satisfied. The French demanded that the United States provide France with a low-interest loan, assume and pay American merchant claims against the French, and lastly pay a substantial bribe to Talleyrand. The U.S. envoys were shocked, and also skeptical that any concessions would bring about substantial changes in French policy. Talleyrand’s strategy was mainly one of delay. 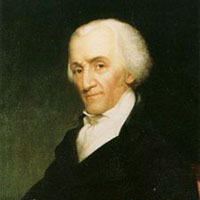 He intended to end attacks on U.S. merchant shipping, but wanted first to increase his personal wealth, strengthen his political position within the Directory government, and ensure that he would deal only with Elbridge Gerry, the American commissioner who seemed most friendly to French interests. Talleyrand’s intermediaries were also interested in preserving peace with the United States as many of them had investments in U.S. businesses. However, as French military victories in Europe increased French power, the French changed the loan terms and threatened an invasion of the United States if the U.S. envoys did not capitulate. 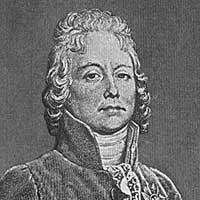 When the U.S. envoys proved unwilling to accede to French demands, Talleyrand eventually met with them formally, and dropped most of his requirements, but did not agree to end the seizures of American ships. Pinckney and Marshall made preparations to leave France, while Gerry intended to stay in the hopes of averting a war. In the meantime, the envoys’ dispatches reached the United States. President Adams prepared for war, and pro-war Federalists pushed Congress to support him. Leaders of the Democratic-Republican party were suspicious of Adams’ motives and demanded that he publicly release the diplomatic correspondence describing the negotiations in France. Adams, knowing its contents, obliged them and released the correspondence, but replaced the names of the French intermediaries with the letters W, X, Y, and Z. Thereafter Adams continued preparations for war, but did not venture to openly declare war. Talleyrand, realizing his blunder, attempted to restore relations, and Congress approved a commission to negotiate an agreement with the French government. In the meantime, the U.S. Navy began to fight the French in the Caribbean, while offering support to Toussaint L’Ouverture in Haiti. In 1799, Congress also passed the Logan Act in response to the visit of a pacifist Quaker, George Logan, who conducted negotiations with Talleyrand as a private citizen and returned to the United States announcing Talleyrand’s peaceful intentions. The Logan Act criminalized unauthorized diplomatic negotiations. In the meantime peace negotiations proceeded in France. Napoleon had come to power, and was seeking to re-obtain Louisiana from Spain. Consequently, Talleyrand, who remained as Foreign Minister, wanted to prevent further hostility with the United States. For their part, the British had delighted in the anti-French uproar in the United States and moved to assist the Americans against a common foe, revolutionary France. However, President Adams ultimately wanted to avoid a major war, confident that had France wanted war it would have responded to American attacks on French ships. Talleyrand feared that limited hostilities with the United States might escalate into a full-scale war and let it be known that he would accept a new American diplomatic representative. Adams nominated a new representative to France despite public and Federalist disappointment that there would be no war, but conceded to Federalist demands and expanded the single nomination into a commission of three. The negotiators chose to annul the 1778 Treaty of Alliance, and instead negotiated a new agreement based on the 1776 Model Treaty—this resulted in the Convention of 1800. Since the new agreement made no provisions for compensation for the seizure of U.S. merchant ships, the Senate did not ratify a finalized version of the treaty until December 18, 1801. The Convention of 1800 terminated the only formal treaty of alliance of the United States. It would be nearly a century and a half before the United States entered into another formal alliance.